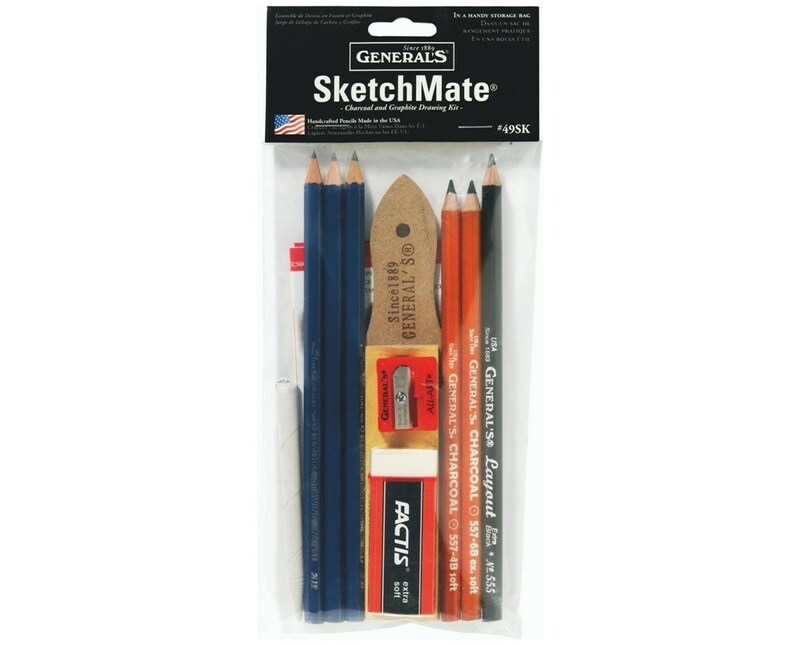 The General’s SketchMate Charcoal and Graphite Drawing Kit is a complete sketching set ideal for beginners and professionals. It contains artist quality drawing tools including three Semi-Hex graphite drawing pencils in different graphite degrees—2B, HB, and 2H. It also includes two charcoal pencils (4B and 6B) and an ultra-black and extra-smooth Layout pencil that is ideal for outlining applications. 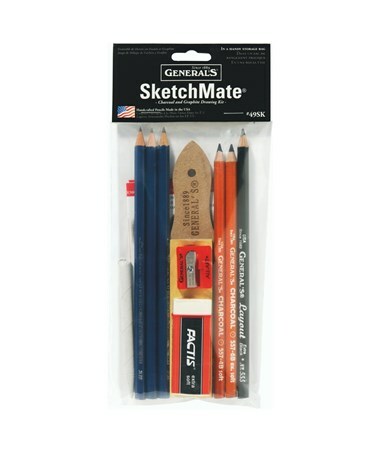 The General’s SketchMate Charcoal and Graphite Drawing Kit is equipped with a blending tortillion to aid with smudging and other drawing techniques. It also comes with a soft white vinyl eraser that erases charcoal on fine paper without smearing. 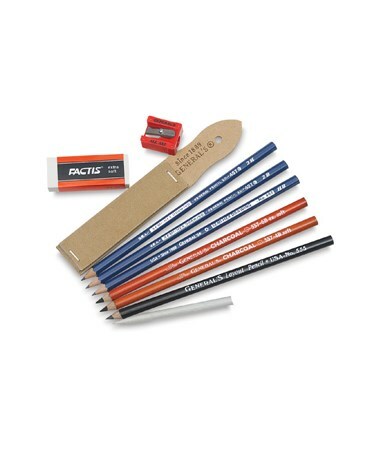 For maintenance, this kit is supplied with a sand paddle sharpener and an All-Art sharpener to ensure each drawing pencil is sharp at all times.